Sitting on the sofa late one weekday evening, I was surprised at a sudden turn my family conversation took. “Did you try those taco fries yet?” We’re occasional QSR consumers, but it’s not often at the level of family discussion. The cheesy conversation continued. And, yes, we all eventually went and tried the fries. It seems this is a relatively new phenomenon: restaurants have figured out a winning recipe for limited time offers that inserts innovative (crazy?) products, and their respective brands, into the pop culture conversation. People are instagramming their fast food. They’re interrupting late night conversations with intrigue about Taco Fries. As it turns out, limited time offers (LTOs) effectively create the promise of a short-lived and scarce opportunity, and that creates a sense of urgency among consumers. The allure of a unique experience brings out the competitive spirit in people, so it’s no wonder 50 percent of Millennials and Generation X customersrace to be the first in their friend group to try a new LTO — and document it on social media. Or brag about it on the sofa. In fact, 48 percent of consumers report trying a LTO menu item every month. For consumers between the ages of 18 and 44, over 30 percent do it every week. Those numbers are tantalizingly meaningful for quick-service (QSR), fast casual, and casual dining restaurant brands. That creates challenges, especially for the operations and learning teams that have to deal with the complexity of menu changes, training rollouts, supply chain complexity, and — in the case of things like Taco Fries — entire rearrangements of the kitchen. These days, it’s increasingly a solved problem. As our team has helped roll out dozens of national campaigns from the country’s best-known brands, we’ve learned a few things about keeping employees engaged, the operational skids greased, and most importantly, delighting customers every time they show up for the latest innovation. Well-trained employees are crucial for LTO execution. But the most common methods used today for onboarding and training involve shipping paper binders to store locations, posting static files like PDFs to an intranet portal, or emailing files to managers. It’s a playbook straight out of the 90s. Hourly employees are plunked in front of a computer in a windowless room in the back office, away from the context of the job, and asked to memorize a new process. A full two thirds of employees complain that the content isn’t useful in a real-world context. What’s a better way? Invest in an operational infrastructure that makes training seamless, easy, and memorable. Today, that means adopting modern technology that delivers digital content directly to employees on mobile devices. Training is faster, efficient, more effective, and always available when a quick refresher is needed. Yes, mobile devices in a kitchen. Walk into any McDonald’s, Taco Bell, or Chick-fil-A, and odds are you’ll see a tablet, not a binder. (And yes, it’s running Inkling, but I digress.) The WiFi is there, the employees are ready, and the excuses are quickly flowing down the drain. Instant, just-in-time learning, error-free content with real-time updates, and ample data streaming back to HQ about progress toward LTO readiness. Beyond simply driving employee engagement and simplifying the workflow, mobile in the restaurant is key to driving strategic agility. So if you’re reaching your team members on mobile devices, or even if (for now!) it’s just a better approach on the PC in the back, what’s the right way to approach the training problem? What does it mean that the training isn’t once-in-a-while, but instead, once-in-a-week? As the famous “Forgetting Curve” reminds us, memorization simply doesn’t work for long-term retention. Within 20 minutes, 42 percent is forgotten, 67 percent is gone within 24 hours, and 79 percent has left the mental building one month later. Ask yourself this: what’s the lag between when a team member is trained and when they need to use the skill? Is it more than 20 minutes? That’s some scary math. Microlearning is widely recognized as a more effective method for effective long-term training. Employees quickly and easily consume new information with short spurts of learning, usually between 3-7 minutes long, and very close to the time they need the knowledge for their work. This type of “active learning” is associated with 90 percent knowledge retention and 50 percent more engagementwith learning materials, especially if it’s done in the context of the job and includes videos and interactive elements. As an added bonus, building microlearning content takes a third the time, costs half as much, and is 17 percent more efficient at transferring learning versus traditional methods. Plus, digital learning materials can be updated in real time. Given the high turnover rates in the industry (146 percent for limited-service brands, 103% for full-service), restaurants must avoid employee burnout. A quick pace of LTOs coupled with insufficient training or poor access to the resources can be a morale killer. Nobody likes to fail. However, with direct access to operational content on a tablet or phone, restaurants address one of the main challenges faced today: engaging employees.Researchdemonstrates that employees are happier in their jobs when they feel a sense of control and autonomy in daily operations, and that’s exactly what they’re given when information is always available at their fingertips. Efforts are streamlined, performance is improved, and time is saved when employees can take control of their own LTO training. Engaged employees also have lower turnover rates and are less likely to get frustrated by LTOs. As a bonus, employees who feel supported and empowered are more likely to spread positive word-of-mouth about their employer, which can equate to easier recruitment. It’s a positive feedback loop. A lot of planning goes into developing LTOs, and the trend today is away from monolithic national LTOs to more regional versions called “micro-LTOs.” Successful promotions often feed into the national schedule. These offers are initially only released to a select number of stores, targeted locations, or smaller-sized markets. One reason to use micro-LTOs is to stand out in a hyper-competitive market. For example, by recognizing regional tastes of a geographic area, restaurants can distinguish themselves from the crowd of restaurants vying for attention. McDonald’s offered the McLobster lobster rollas a micro-LTO in Maine, New Hampshire, Massachusetts, and Connecticut. While that LTO would likely be too costly (ingredient sourcing) and less popular (consumer interests) if launched elsewhere, the lobster roll met the local regional tastes perfectly. Even better, the LTO debuted at a time when lobster was expensive, so customers appreciated the ability to eat their favorite sandwich at a more affordable price point and flocked to McDonald’s for the opportunity. McDonald’s also tested green teasin their Houston market to see if it was worth expanding nationally. In order to support micro-LTOs, restaurants must have the strategic agility to implement quickly and easily at a local level and the ability to deliver LTO training to select locations and employees. Restaurants should select a smart content platform that provides the ability to make this process seamless by targeting how content is shared based on factors such as location and role. With one-click publishing capabilities, content teams can also change LTO recipes and training in real time to respond to things like customer feedback or low ingredient inventory. Binders bind you. When traditional paper or PDF training materials are used, there’s a dearth of feedback or data coming from the field to answer questions about workforce preparedness and training effectiveness. This black hole of insight is frustrating for content creators who can’t tell how their training content is being used, what’s working, and what should be improved. It makes field leadership jobs harder because they can’t ascertain how prepared each store location is to deliver a new LTO, which puts the brand reputation at risk. That’s why it’s critical to pick a technology provider that offers the ability to digitize and distribute content and easily analyze performance through captured data. The latter makes it easy to measure employee productivity and engagement levels, improve internal efficiency and operations, and solidify the customer experience to ensure LTO success. And, after an LTO launch, HQ can correlate operational content usage with the employee engagement, restaurant location sales, and customer satisfaction scores (CSAT). Content creation teams can also utilize LTO data to develop new content based on actual usage data. With analysis in hand, they can more easily predict future learning needs based on learner activity and interactions. LTOs are risky business. The quickening pace places pressure on the training and operational infrastructure. LTOs put pressure on kitchen staff and management. And, like a hits-driven business, they can flop. Getting every LTO right really matters to the top and bottom lines. Software can support better processes. Better processes can support your people. And your people in the restaurant are ultimately going to determine the success of your efforts. Without them, nothing is sold, nothing is eaten. From tabletop tablets to smartphone-enabled deliveries, digital technologies are disrupting every segment of the restaurant value chain. Training is no exception. Restaurants that develop a digital game plan have a powerful tool working in their favor. Make sure yours includes training and supports your LTO strategies — for the good of your employees, your customers, and your brand. 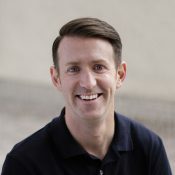 Matt MacInnis is the Founder and CEO of Inkling. His vision for the future of how people communicate drives Inkling’s strategy, product development and culture. He leads Inkling to make the world a smarter place. Prior to founding Inkling, Matt spent eight years at Apple, growing the use of its products in education and the sciences.